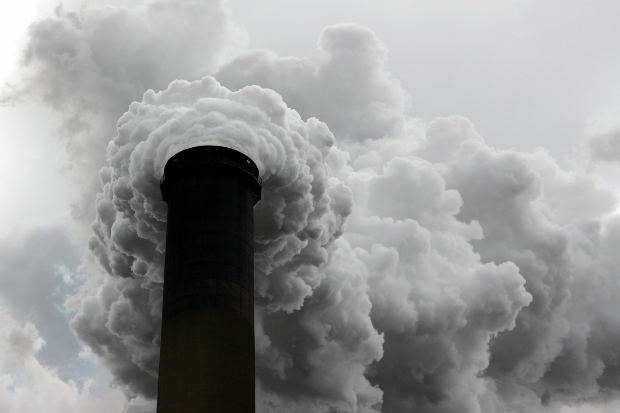 BRUSSELS – During the first two trading periods of the European Union Emission Trading Scheme (EU ETS) we have observed a low and volatile Emission Unit Allowance (EUA) price, which has failed to incentivize sufficient abatement efforts and investments in clean technologies. The European Commission’s (EC) proposal to establish a Market Stability Reserve (MSR), however, does not address the scheme’s main problem of a persistently low and volatile EUAs price. Instead it aims to address the existence of a large allowance surplus by adjusting the short-term auction supply without affecting the long-term cap. A number of design features of the MSR have come under criticism, casting doubt on the mechanism’s ability to stabilize the EUAs price. The aim of the MSR is to maintain the total surplus of allowances available at auctions to market participants within the pre-defined target range of 400 and 833 million. When the total allowance surplus is higher than 833 million allowances, 12 percent of the surplus is removed from future auctions of the following year and placed in the reserve. Moreover, if the total surplus is below 400 million allowances, 100 million allowances are released from the reserve and added to future auctions. 100 million allowances will also be released if for more than six consecutive months, the allowance price is more than three times its average price during the two preceding years. The reserve can be carried over multiple periods, ensuring that the MSR is neutral to the overall cap. However, the central assumption of the MSR – that a temporarily reduction of the allowance surplus will cure the low EUAs price- has been subject to dispute. This is because when the reserve builds up, the number of allowances accessible to market participants at auctions in the short-term will decrease, however, the allowances are supposed to come back to market auctions in the mid to long-term. According to standard economic theory, such a cap neutral adjustment of the auction timing should not or only to a small extent impact the EUAs price as a result of inter-temporal price smoothing. In fact, even the EC’s Impact Assessment acknowledges that the resulting EUAs price impact of the MSR is uncertain. Further, the EUAs price evolution would depend on the expectations by market participants about whether the allowances are actually returned into the market as proposed today. It is uncertain to what extent market participants will anticipate the inter-temporal impact of the reserve and adapt their behavior. Given the weak impact on the price signal, the MSR should also have a very uncertain impact on investment in R&D as well as on low-carbon investments. Another uncertainty lies behind the choice of the “appropriate” allowance surplus size. The MSR can be considered as an instrument to temporarily reduce the allowance surplus in situations where its volume exceeds the hedging demand. In fact, power companies need to be in possession of a certain surplus of allowances beyond their compliance needs in order to cover their hedging demand. Nevertheless, the rationale behind the proposed surplus size in the range of 400- 833 million allowances has been criticized for its lack of transparency, and it remains unclear whether it has actually been informed by hedging demand estimates. Selecting the correct quantities would be extremely difficult given the diverging views on the order of magnitude, the potential that hedging needs evolve over time, the risk of strategic reporting of companies about their hedging behavior, and insufficient possibilities to verify the data. As a result, the EC seems to have adopted a trial and error approach with respect to the choice of quantity triggers. Furthermore, a revision of the triggers is suggested at the latest in 2026 to correct potential failures in the setting. This implies a continuous adjustment of the ETS for the next decade and is unlikely to contribute to stabilizing the expectations of market participants. What’s more, any intervention will occur with a significant time lag of two years. This is because the trigger is based on the total surplus for which timely data is not available. It can only be calculated based on data for verified emissions and surrendered allowances provided two years ago. This inflexibility undermines the ability of the MSR to introduce supply flexibility in the EU ETS. Bellona is strongly concerned about these uncertainties and subsequently doubts the ability of the MSR to cure the EUAs price and ensure a well-functioning ETS. In response to the EC’s Green Paper on the 2030 Framework for Climate and Energy Policies, Bellona provided its recommendations for the way forward. A central element of Bellona’s position is the necessity of creating a discretionary price-based adjustment mechanism into the ETS to adjust the overall supply of EUAs available at auctions in the market. To ensure that these adjustments have the desired impact on the EUA’s price, Bellona advocates for the permanent cancellation of allowances in cases where the EUA’s price is below a certain threshold as opposed to their temporary deposition in a reserve. This adjustment mechanism is to be regulated by an independent bank; the European Central Bank of Carbon. This bank is to be delegated the responsibility of ensuring the smooth functioning of the market, and avoiding situations of over-supply. For this purpose, effective and transparent criteria for intervention will need to be drawn up, which Bellona recommends to be based on achieving the ambitious 2050 decarbonization goals at the least cost to society. For the Bellona Europa brief on ‘Comprehensive ETS Reform’ see here.